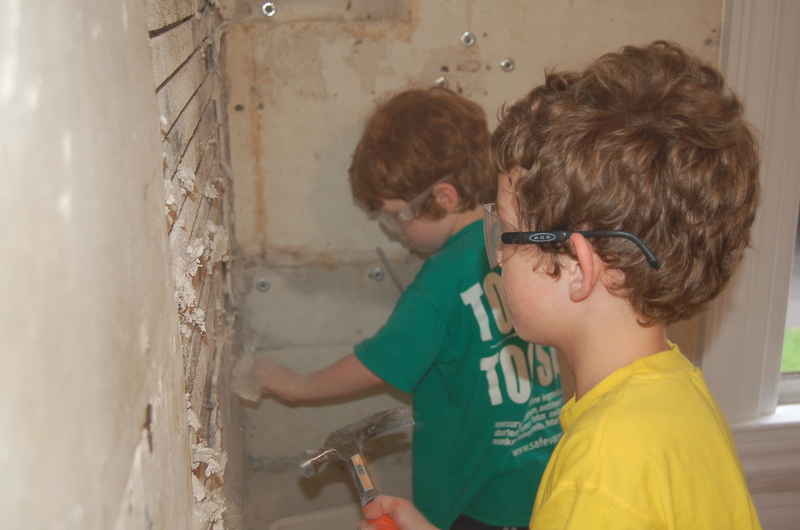 The boys loved helping Daddy tear down some old plaster. This is the master bedroom which had been an apartment since the Depression. I found newspaper evidence under the linoleum going back to 1907. We’re hoping to finish before school starts. We’re currently sleeping in the Parlor on the first floor.